Lovable underdog TV writer Chuck Lorre, known for creating such cult hits as Dharma & Greg, Grace Under Fire, and the short-lived Two And A Half Men, is finally getting the well-deserved recognition that has, thus far, eluded him. According to Variety, two of the newest additions to the Lorre-verse, Mom and Mike & Molly, have just been renewed by CBS, ensuring that they will continue to gather critical acclaim while being ignored by mainstream audiences for at least another year. 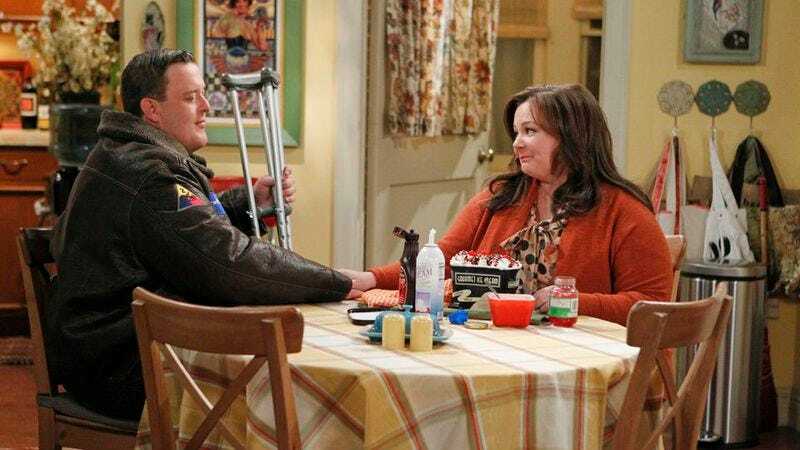 This will be the sixth season for Mike & Molly and the third for Mom, which is better than nothing, but it’s still fewer than boring lowest common denominator fare like Cheers or Seinfeld. The Big Bang Theory, Lorre’s only other show that’s still on the air (because the universe is eternally unjust), was picked up by CBS last year for a pitiable three-year renewal, proving that the network simply doesn’t care about giving shows like Big Bang Theory a chance to find an audience. Plus, when will the Emmys recognize the comedic genius of Jim Parsons? He goes in to work every day, says some Star Trek references in a funny voice, and he barely has any awards to show for it. It’s a travesty. Anyway, Lorre will presumably celebrate the renewal of Mom and Mike & Molly the same way he celebrates everything else: By playing angry voicemails from Charlie Sheen on his popular Lorretown podcast.